Hand crafted, one of a kind, copper and brass lighting. 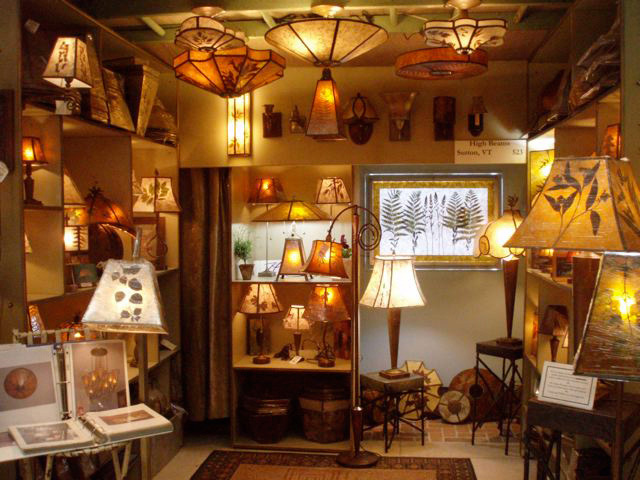 Lampshades of real leaves and petals, mica, fabric, parchment and lots more. All designs and concepts are the property of High Beams Lighting.